The word “Renko” comes from “Renga”, the Japanese word for “brick”. Renko is only concerned with price movement , time and volume aren’t included. This type of chart is very helpful for traders to identify support/resistance levels. Renko sharts don’t have any upper or lower shadows. We can change the box size in them , that means we don’t care about time frames. They care only about price movement. Input 9999999999 in both the fields. 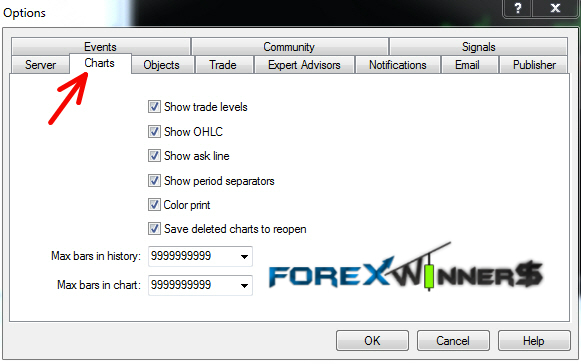 Click the ( Expert Advisors ) Tab and make sure to check marks the same like the image below. 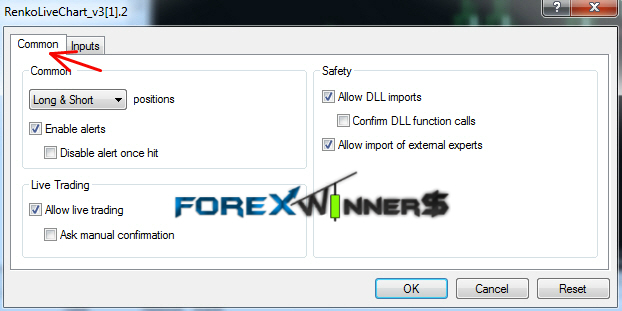 Open a 1 minute chart ( for example GBP USD ) and manually Scroll back the 1minute chart as much as you can ( You can keep pressing the HOME button on your keyboard ) go back about at least 1 or 2 months worth of 1minute chart data on your screen. 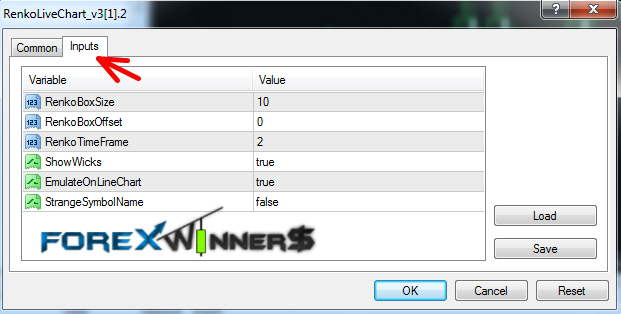 Now , apply the RenkoLiveChart_v3.2 EA to the 1minute GBP USD chart, Make sure the settings are as the images below. 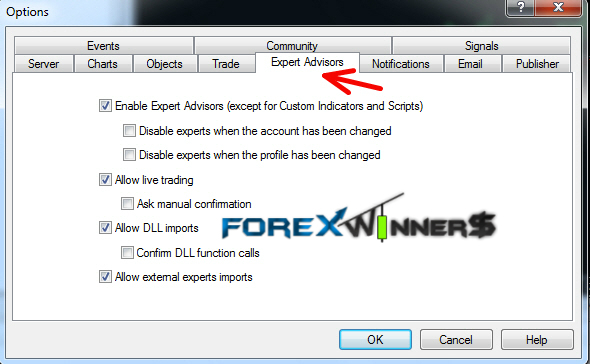 Then , Enable the Expert Advisors Button. 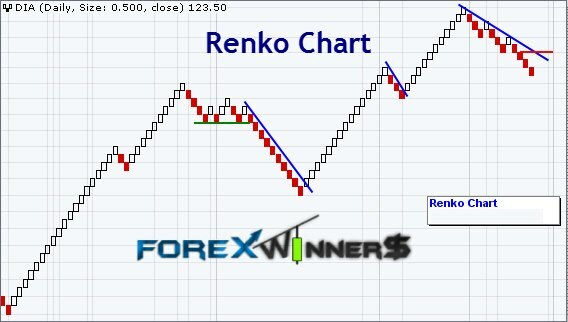 Now the Renko EA should be running and data from the 1minute chart should be able to feed data for your Renko Chart. Now you have the renko chart running in a M2 Offline chart. Remember that you need to have the 1minute chart as well as the EA running at all times , because data from the 1minute GBP USD chart is feeding data to the GBP USD M2 Offline chart via the Renkolivechart_3.2 EA. 1. Place the mq4 code in the Experts/scripts directory. 3. Drop the script on a live chart, preferably the 1 minute chart of any instrument. The comment will tell you which offline chart to open.